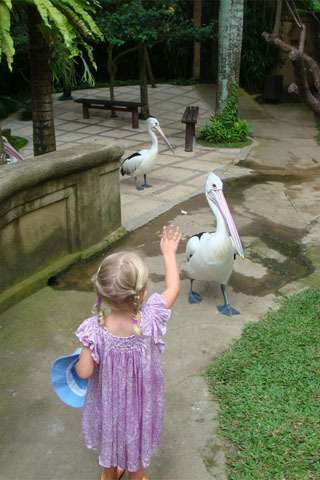 Bali Bird Park is a great half-day trip with kids, though as for the zoo, best to get in as early as possible to beat both the heat and the crowds. Browse places to stay in Ubud on Agoda.com. Free cancellation. Check the timetable for various activities as soon as you arrive and plan around that — make sure you see the bird show as this is a definite highlight, with trained birds swooping and screeching on demand. Some 250 species of birds are kept at the park, spread across two hectares of well tended, very green land, with large walk-through aviaries as well as smaller cages you simply walk past. The restaurant is pleasant and serves reasonably priced meals. The attached reptile park is also worth a visit, though with young kids you’d want to do this on another day (and there is an additional entrance fee).